An everyday riding dressage stirrup. The ‘Kinko’ Stirrup, made from all aluminium is a beautifully engineered Italian made stirrup. The Peculiarity of this stirrup is that it is all angled, even the bench (where you rest your toe/foot) has been more inclined to allow better lower leg position and grip! 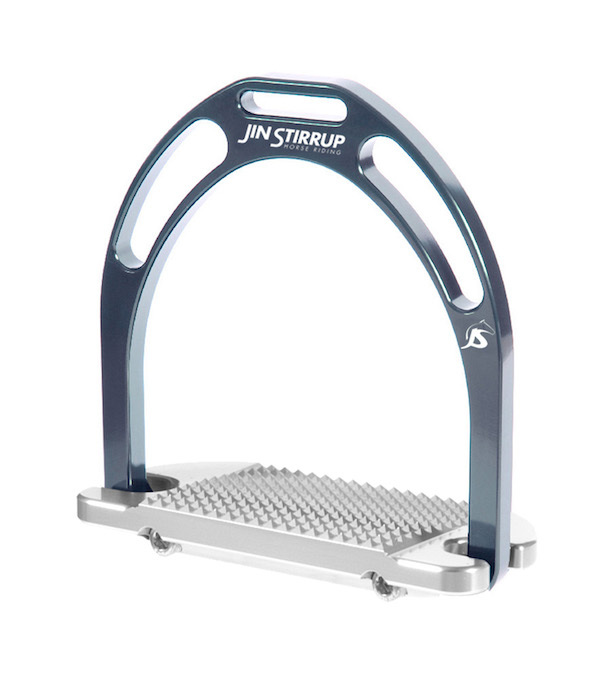 Jin Stirrups are obtained by certified high quality aluminium which is worked with sophisticated CNC Machinery. Colouring obtained by an anodizing process to give the product protection from corrosion making it a long-lasting stirrup. With this process, it also offers the option of choosing a colour you love!